Published by Pemberton Pierce, Pennsgrove, N. J. Of the birth of Christ our King. Be unto our God, they sing. God and man are joined in one. For the wonders God hath done. 1. 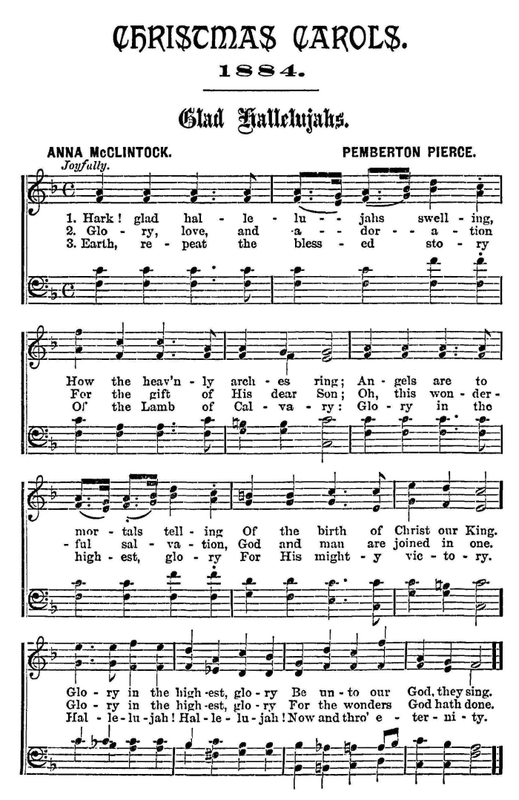 Glad Hallelujahs; Words by Anna McClintock and Music by Pemberton Pierce. 2. Hail, Hail, Hail; Words by Anna McClintock and Music by Pemberton Pierce. 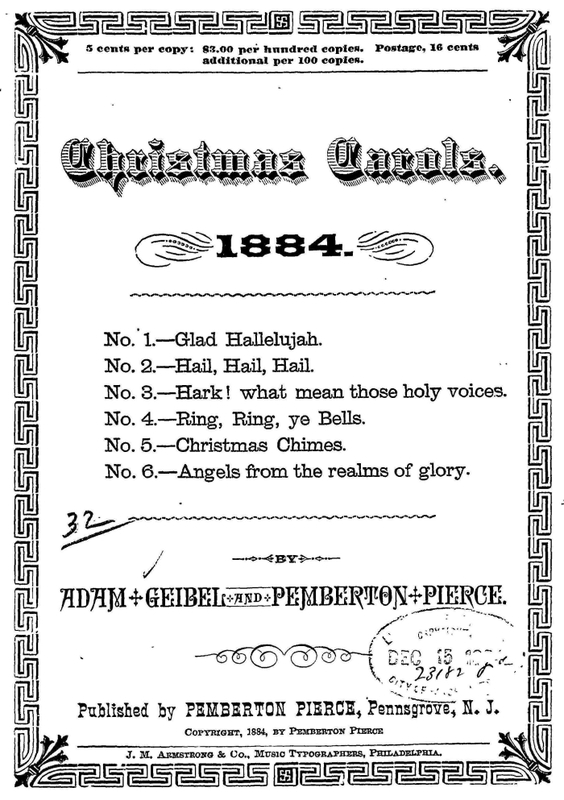 Geibel and Pierce have collaborated on other collections, such as "Rays of Sunshine," which was described as "A collection of 40 pages of new music for Sabbath Schools, Prayer and Praise Meetings, and the Home Circle." There were numerous contributors to the effort including Fanny Crosby, Mary A. McKee, and several others. Source: Library of Congress, Rare Book and Special Collections Division, America Singing: Nineteenth-Century Song Sheets (American Memory, Performing Arts-Music).